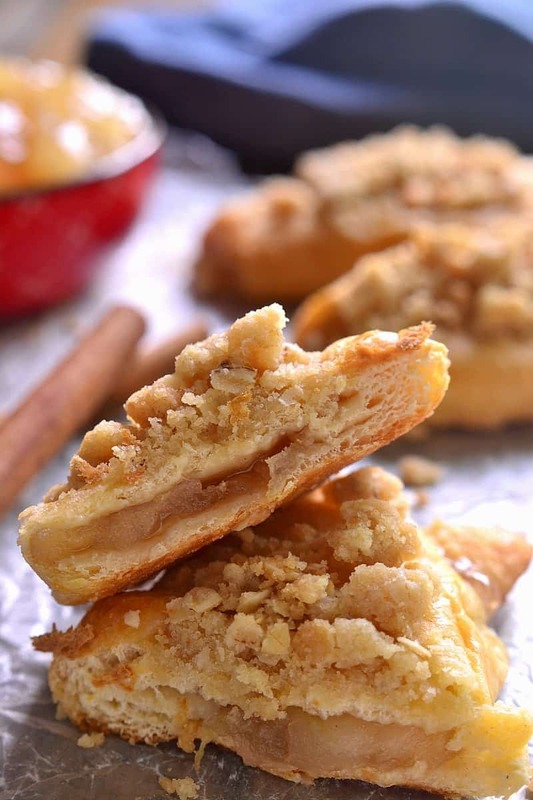 Apple Pie Crescent Rolls – all the flavors of apple pie, without all the work! So. Have I told you we’re having a HUGE birthday party here this weekend? I’m pretty sure the answer might be no…since I’m pretty sure I might be trying to pretend it’s not happening…but it is! After waiting ALL summer, the girls are finally getting their party. And I think (fingers crossed) we’re almost ready for it. This year’s theme? ART!!! Not only is it something all 4 girls love (and agree on)….but it’s an idea I’ve had in the back of my mind for quite some time. And when we won a box full of art supplies, including 800 crayons and 400 colored pencils, at a raffle….well, that just sealed the deal. Art party all the way! So here we are, all loaded up with paints and markers and play doh and beads and stickers and stamps and so many crayons and colored pencils. We’re planning to do a few crafty things at the party before sending colored pencils and crayons home with ALL of our guests. We can’t let them leave empty handed, right?! In other words, they’ll be doing us a favor by taking it off our hands! After all, there are only so many crayons 4 kids can use. Even 4 kids who love art. We’re expecting around 50 people…..and lots of food and drinks and talking and laughter and craziness and fun. And at the end of it all, a dining room table that’s free of the party supplies and decor it’s been accumulating over the past few weeks. Hooray!! And then…..it’s Labor Day. Already. Which is funny to me, since we’re celebrating birthdays from back in May and June (oops!) But to be honest, I’m ready for it. I’ve been thinking about all things apple and pumpkin for weeks now! 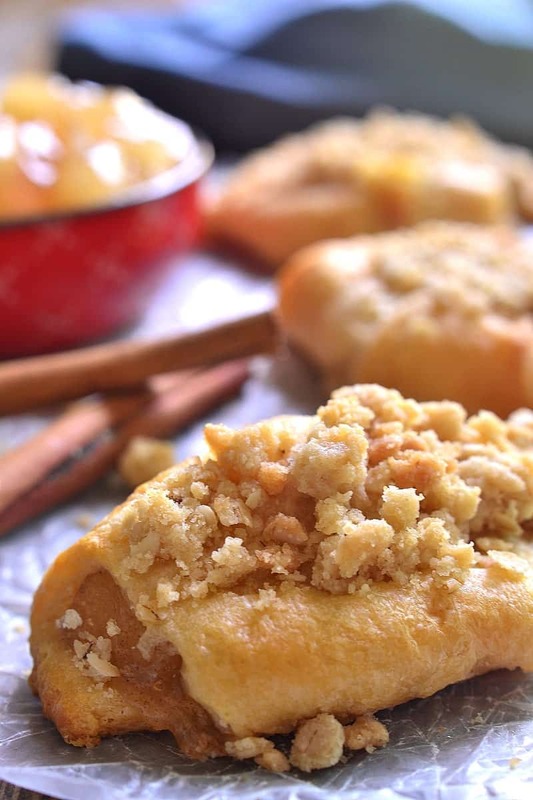 And these Apple Pie Crescent Rolls are one recipe I just had to share with you. What is it about crescent rolls I love so much? Well, pretty much everything. The ease, the convenience, the fact that I always have something in my house I can stuff them with. 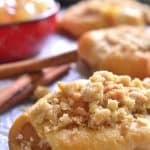 And in the case of these Apple Pie Crescent Rolls, I love the fact that they taste just like apple pie…but require just a fraction of the work! 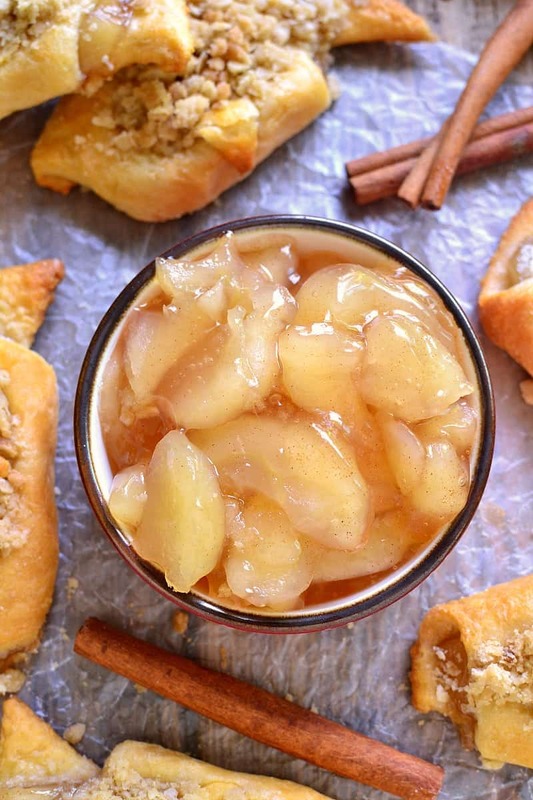 Perfect for breakfast, snack, or even dessert. 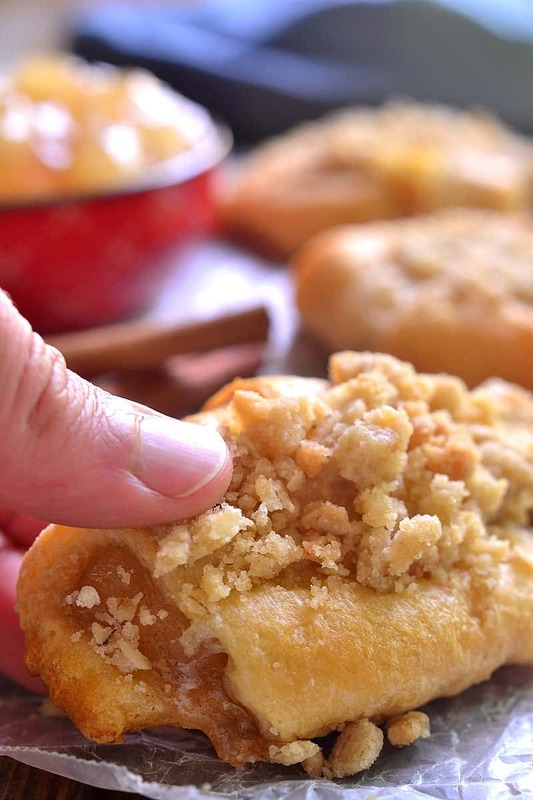 Apple Pie Crescent Rolls topped with vanilla ice cream? Yes, please!!!!! As soon as the birthday bash is over, that is. Because for now, it’s all things art. But next week? You better believe it will be all. things. APPLE!!! 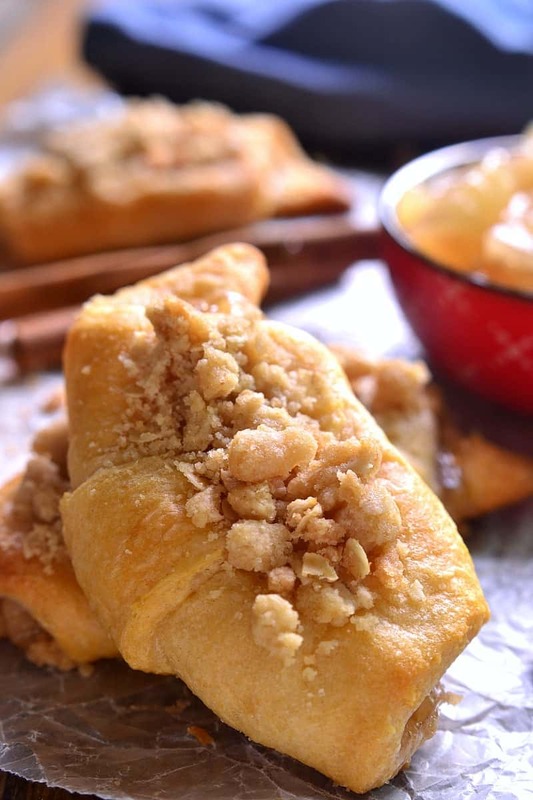 Apple Pie Crescent Rolls - all the flavors of apple pie, without all the work! Unroll crescents onto a lightly greased baking sheet. Divide pie filling evenly among crescent rolls and roll into crescent shape, starting with large end. Prepare crumb topping by combining flour, brown sugar, oats, and melted butter. 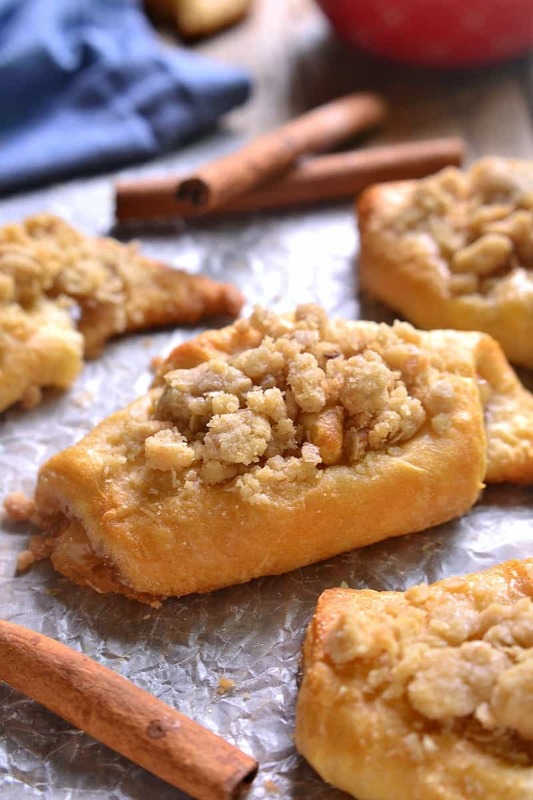 Top crescent rolls with crumb topping. Bake at 350 degrees for 12-14 minutes or until golden brown. These look wicked, in the best way! Such a fantastic treat! Love who easy you’ve made them! Yum! I want to make these in September! They look so good! Have fun at the party, an art party is such a great idea!!!!! I can’t take how awesome these are! Seriously I want then for every breakfast! I love apple pies but they can be so messy sometimes! This is a great way to have a “slice” without all the mess! Ooh these look so scrumptious…and good luck with the party! !